Channel 4 and AMC’s critically acclaimed sci-fi drama Humans has been commissioned for a third series. The eight-part series made by Kudos (Apple Tree Yard, Broadchurch) is written by Sam Vincent and Jonathan Brackley (Spooks: The Greater Good), and based on the award-winning Swedish sci-fi drama “Real Humans” created by Lars Lundstrom. 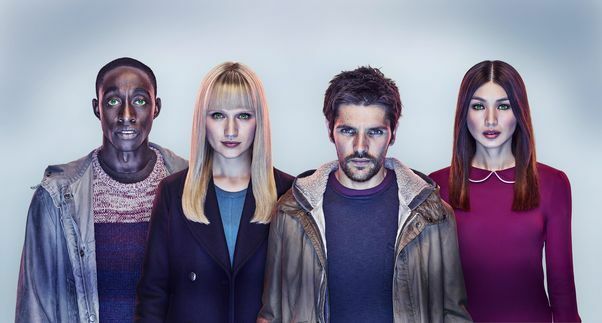 Set in a parallel present, the series explores what happens when the line between human and machine becomes blurred, and stars Gemma Chan, Katherine Parkinson, Tom Goodman-Hill, Emily Berrington, Colin Morgan, Ivanno Jeremiah, Will Tudor, Lucy Careless, Theo Stevenson, Pixie Davies and Ruth Bradley. Humans Series 2, episode one achieved a consolidated audience of 3.4m viewers and the No. 1 drama on C4 last year for 16-34 year olds. The series airs in America on AMC with similar ratings, achieving the top five cable drama launch among adults 25-54 in the USA. Humans Series 3 will air in Autumn 2017.